The winner of the 2018 PEN Pinter Prize and acclaimed author Chimamanda Ngozi Adichie will address the Frankfurter Buchmesse’s opening press conference on the morning of October 9, the eve of the book fair’s official opening. Chimamanda Ngozi Adichie is to make the keynote address on October 9 at the Frankfurter Buchmesse‘s opening press conference, set in the new Frankfurt Pavilion at the center of the complex’s Agora. In her comments made on the United Nations’ World Humanitarian Day in 2016—as the American political campaign of Donald Trump was reaching its anti-immigration crescendo—she spoke quite eloquently to the problem today of how, amid the rise of nationalistic and isolationist political forces, “Nobody is ever just a refugee. Nobody is ever just a single thing. Ngozi Adichie grew up on the campus of the University of Nigeria, Nsukka, where her father was a professor and her mother was the first female registrar. After studying medicine for a year during university, she left for the United States at the age of 19 to continue her education on a different path. She was awarded a Hodder fellowship, which is given to writers and artists of exceptional promise, at Princeton University for the 2005-2006 academic year, a MacArthur Fellowship in 2008, and a fellowship at the Radcliffe Institute of Harvard University for the 2011-2012 academic year. 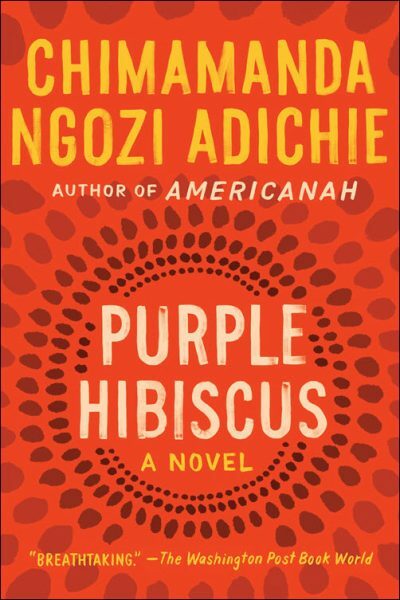 Adichie’s work has been translated into more than 30 languages. In Germany, she’s published by S. Fischer Verlag. 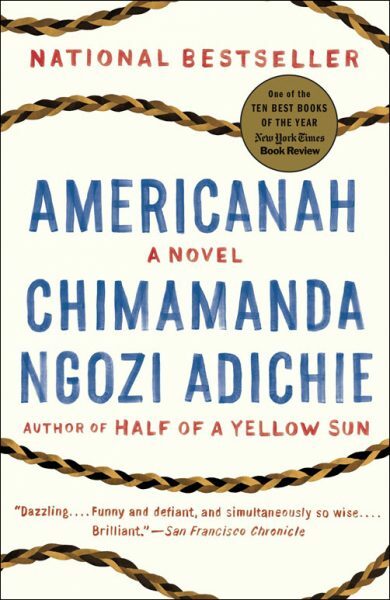 She is the author of the novels Purple Hibiscus (Algonquin Books, 2003), which won the Commonwealth Writers’ Prize and the Hurston/Wright Legacy Award; Half of a Yellow Sun (Knopf/Anchor, 2006), which won the Orange Prize (now called the Women’s Prize for Fiction); and Americanah (Knopf, 2013), which won the National Book Critics Circle Award and was named one of The New York Times Top Ten Best Books of that year. 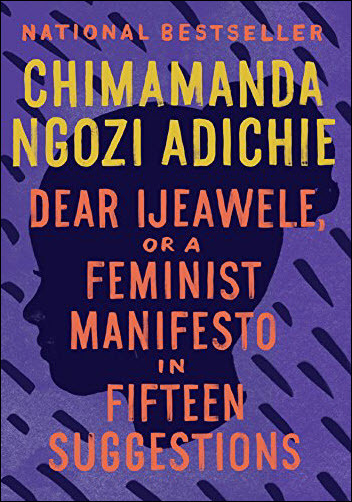 Her 1917 Dear Ijeawele, or A Feminist Manifesto in Fifteen Suggestions is published by Knopf/Anchor and won the Grand Prix de l’Héroïne Madame Figaro. Her short story collection, The Thing Around Your Neck, was published by Fourth Estate and Knopf in 2009. Ngozi Adichie is also known for her TED talks, including the 2009 The Danger of a Single Story and the 2012 TEDx Euston presentation, We Should All Be Feminists. “‘We cannot measure our humanity, but we can act on it,” Ngozi Adichie told the UN’s Humanitarian Day audience in 2016, gathered in the General Assembly chamber in New York City. She was interrupted several times by spontaneous rounds of applause. 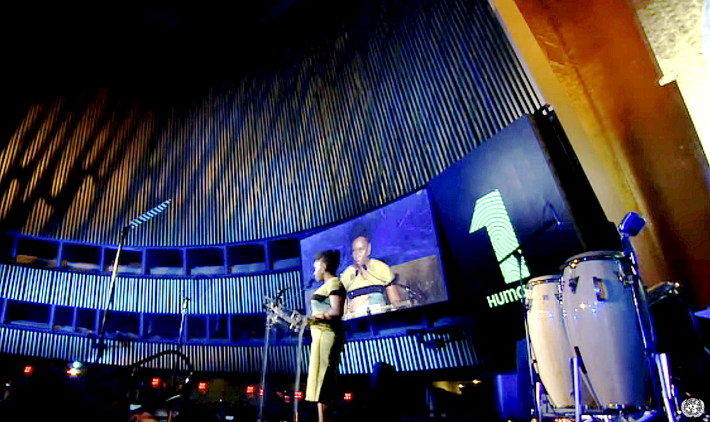 You can see Chimananda Ngozi Adichie’s address at the United Nations’ World Humanitarian Day 2016 event in the video below. More from Publishing Perspectives on Frankfurt Book Fair is here, and on Chimamanda Ngozi Adichie here. Our Summer Magazine is ready for your free download. 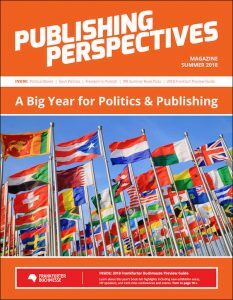 It’s themed on politics and publishing and includes our extensive preview of Frankfurter Buchmesse. Be sure to get your copy here.